A fine achievement with enough catchy songs to remind you why you got into music in the first place. Some people are just good at everything they turn their hands to. 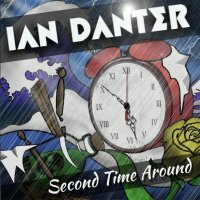 When he's not hosting football and music shows on TalkSport and Planet Rock, compering events, writing comedy scripts, doing voiceovers or playing the role of Peter Criss in UK Kiss tribute act Dressed To Kill, Ian Danter has taken to making albums of old-school Melodic Hard Rock, on which he writes, sings and plays all the instruments. 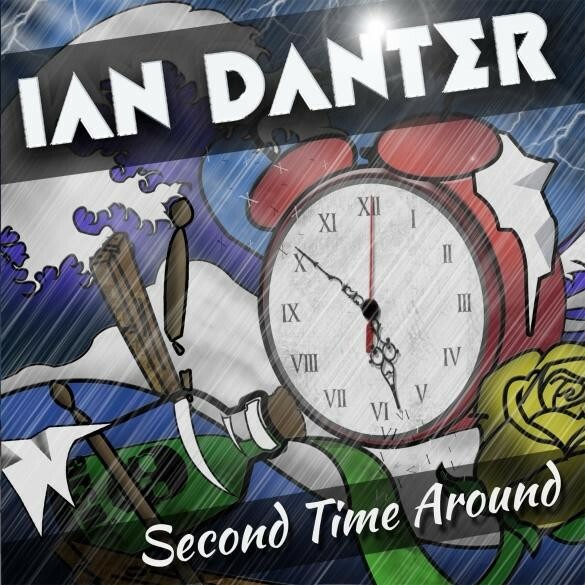 The sensibly titled 'Second Time Around' follows his 2013 debut 'Prove You Wrong', and whilst most of the vocals on that album were handled by ex-Shy man and voice for hire Lee Small, Danter decided not to go the guest musician route this time out, apart from the odd backing vocal everything you hear comes from the man himself. '...Around' is more guitar-based than its predecessor, with a sparser use of keys and a more organic sound running through a series of simple, catchy Rockers with big hooks and choruses. There are different themes to the songs, from light-hearted comedy lyrics, through serious, heartfelt songs and the odd homage to other bands, like the Def Leppard-esque arrangement given to big and bold opener 'If My Truth Is A Lie' and the Cheap trick-style Pop Rocker 'Love Fatigue'. The melodies and clever arrangement of 'Chinese Whispers' scream ELO, or more accurately, New England channelling ELO. The title track is nicely written ballad with great melodic guitar parts, whilst 'I Love You More' is another good mellow song with great piano, but it's the more light-hearted stuff that scores the highest. 'It All Comes Back To Rock' is a co-write with Greg Hart (Moritz, Cats In Space etc.) and is a catchy Rock tune with a great riff and funny lyrics (like something Charlie's Terry Thomas would come up with), 'We Believed' is about the shattered hopes and dreams of not becoming a Rock star and 'I Didn't Get Where I Am Today' is more of the same, but better. Top of the pile for my money is the hugely commercial 'Simple As That', right down to the Ace Frehley solo, while 'Better Off Out Of It (Than Worse Off Dead)' ends the album in a frenzy of eighties clichés. Produced once again by Alex Cooper, 'Second Time Around' is a good record that doesn't quite reach the heights of '...Wrong', mainly because Small gave that album a slightly classier sheen. However, it's still a fine achievement with enough catchy songs to remind you why you got into music in the first place. Now, if Ian Danter would just do a whole album of his legendary, lyric-altered impressions of Deep Purple, Mötley Crüe et al, it would never leave my player.